Shock. And Dismay. Photo from Creative Commons. Credit cards don’t give you bonus miles because their bank sponsors are generous. In addition to making money from the fees that merchants pay them, they make a fortune from the usurious interest rates they charge, frequently over a 20% annual percentage rate (APR). There is no level of rewards that can offset the cost of that interest, and rewards cards almost always charge higher rates to subsidize the costs of the points that they are giving you. If you currently carry a balance on one of your cards, forget about earning rewards. Pay off that card and save yourself the interest payments. 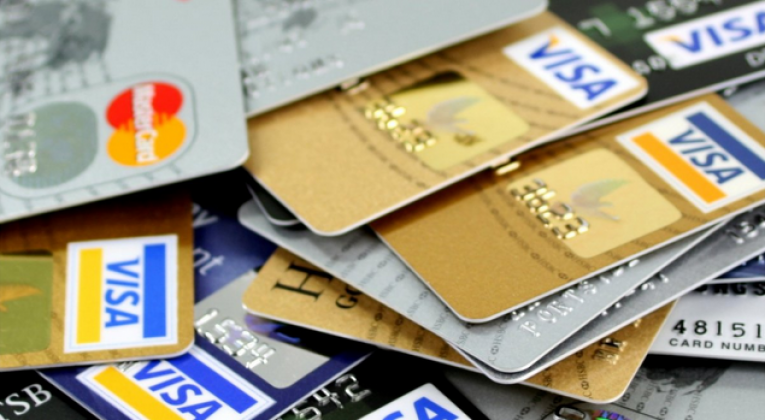 Banks and cards are constantly competing with each other, meaning that bonuses come and go. In particular, the points you get to sign up for a card are often the best way to earn them, even if you never use that card again. But all credit card sign up bonuses aren’t created equal, even for the same card. For example, a standard promotion might be 25,000 miles to sign up for a credit card and spend a certain amount of money but, a few times per year, the bank might try to juice applications by offering 50,000 miles for that card. A quick search can tell you the range of bonuses for most cards, but a good rule of thumb is that most of the major airlines and hotels offer “extra” sign-up goodies three or four times per year. If you see a promotion come and go, don’t despair. Chances are that it will be back a few months from now. One of my favorite promotions, the 50,000 Southwest Rapid Rewards credit card sign-up bonus is currently ongoing. That’s worth about $750 in Southwest flights and will get me almost halfway to a companion pass with the airline. It’s an inexpensive card with great benefits. But I’m never going to get this card, because Southwest barely serves my home city of Boston. I’ve only flown them a few times over the years and don’t see myself flying them anytime soon. It’s true, I could spend the $99 and just save the points, but to what end? They’ll sit there forever and Southwest will slowly devalue them over time. The opposite problem could also be true: If you have millions of points or miles at a particular hotel or carrier, how much good will the extra 25,000 or 50,000 points do you? Miles don’t earn interest, so there is no use hoarding them. Maybe the credit card lets you put a picture on it. Or a commercial brags that it’s made out of Unobtainium. Or your card can mow the lawn. Who cares? Does the gimmick make you money? If not, pass on it. Okay, the lawn mowing card would be pretty cool. Wow, stainless steel and a patented design! American Express has always had the advantage when it came to the high-end cards. First, it was the mysterious Platinum card that they wouldn’t acknowledge existed. Then, once any old person could get the Platinum card, they introduced the Black, or Centurion, credit card that they won’t acknowledge exists. Because of the prestige that comes with having the same card that Jay Z does, black became the “go-to” color for cards to impress, such as the above MasterCard that costs $495 per year and comes with virtually no benefits. Seriously, is it that important that somebody else is impressed with the color of your credit card? Not so much. Credit cards are a great way to accumulate lots of points fast, but make sure you’re doing it for the right reason. We all know that there’s no completely free, effortless way to get that first class ticket around the world, but when you do apply for that credit card, get value out of it.